Hall for Cornwall presents a rehearsed reading of Never Say Rabbit in a Boat by Nick Darke on Tuesday 19th January 2010 at 7.30pm. Written in 1977 and first staged at the Victoria Theatre, Stoke-on-Trent. 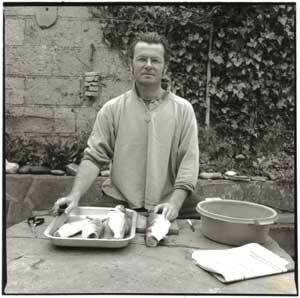 Never Say Rabbit in a Boat was Nick Darke’s first full length play. It is the story of Hellyar Jan: fisherman, smuggler and born liar! Set on the beach of a small bay in North Cornwall and in Hellyar’s old house on the cliff above, it is a heartwarming story about an ageing rabbit catcher and a commercial fishing net company. Never Say Rabbit in a Boat is Hall for Cornwall’s contribution to Darke Visions and a special tribute to Nick.